Slow Food Scotland is a national charity that’s part of the international Slow Food movement of 100 000 members in over 150 countries. Together, we are campaigning for a food system that is good, clean and fair. Everyone has the right to enjoy the pleasure of food that is good for them, the people who produce it, and the land or sea it comes from. A non-profit, member–supported SCIO (Scottish Charity Incorporated Organisation), our activities include influencing positive changes in social policy, building links between producers and eaters, defending and promoting biodiversity and educating young people. 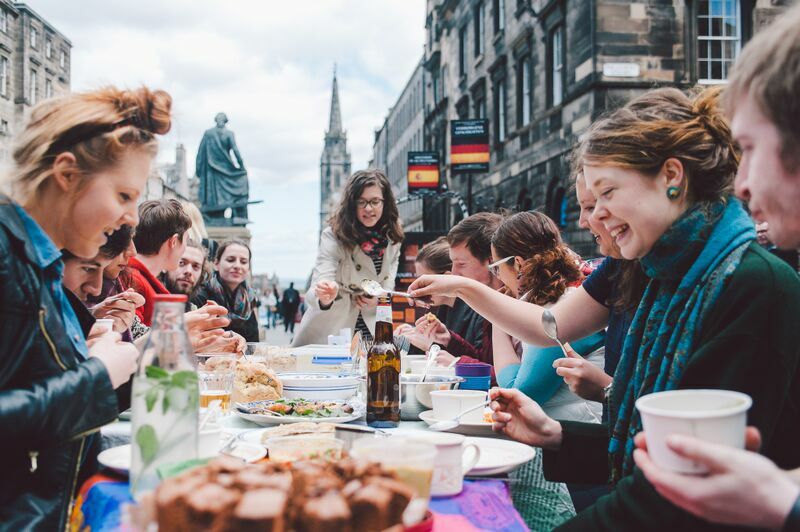 We also work with the other national bodies across the UK, and Slow Food’s international programmes such as 10 000 Gardens in Africa, Terra Madre events and the Slow Food Youth Network. Finally, we believe in conviviality, enjoying good food and good company, because ours is a sweet revolution and everyone should have the right to enjoy the taste of good, clean and fair food.